LIVE NOW "Rockstar Energy Racing: Beyond the Finish Line"‬ Episode 10! Watch as some of our top International riders come from overseas to step into the shoes of the Rockstar Energy Racing team! 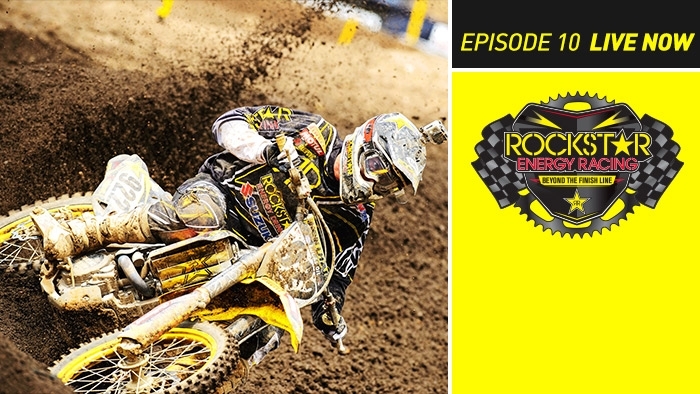 Featuring Rockstar Energy Racing's Davi Millsaps, Blake Wharton, Jason Anderson, Ryan Sipes, Nico Izzi and Daniel Baker. With Special Guests: Kevin Strijbos and Clement Desalle.